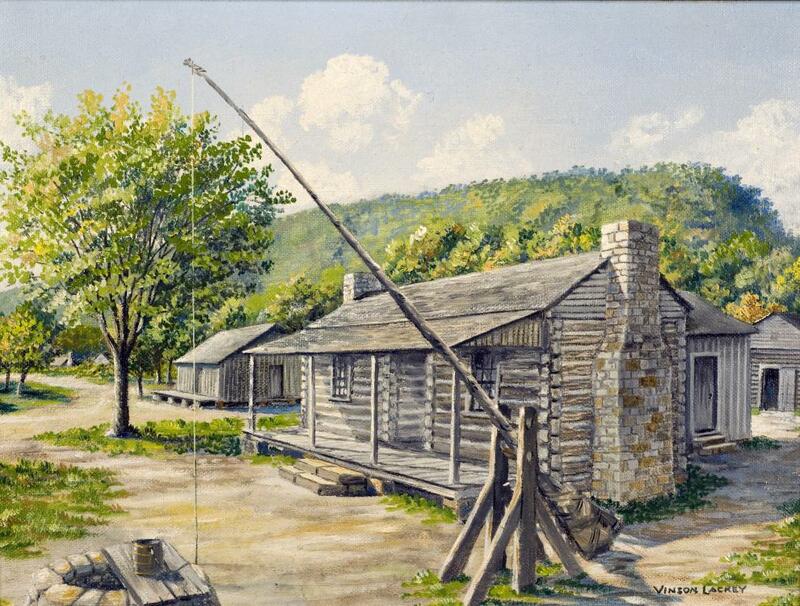 By the 1820s the southwestern border of the United States reached to Fort Smith, Arkansas. In order to protect the border, Colonel Matthew Arbuckle established Fort Gibson in 1824 at the confluence of the Grand and Arkansas Rivers. After the Indian Removal Act of 1830 the post would take on a peace keeping role between the Plains Indians and the Five Tribes who came to call the new Indian Territory home. 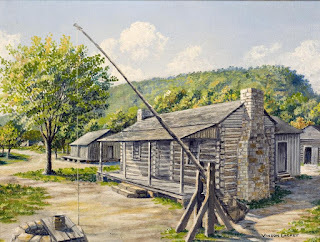 The placement of Fort Gibson proved to be a detriment to the Army as the post flooded often and many a soldier died of disease; but the post was in relative proximity to Tahlequah, capital of the Cherokee Nation, and Park Hill, home to several leading Cherokee statesmen. 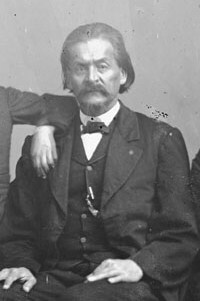 [i] It was here that Freemasonry arrived in the Indian Territory and a charter was issued to Cherokee Lodge No. 21 on November 9, 1848, by the Grand Lodge of Arkansas. [ii] In time the Fraternity would flourish across the Five Tribes, including the Muscogee (Creek) Nation. 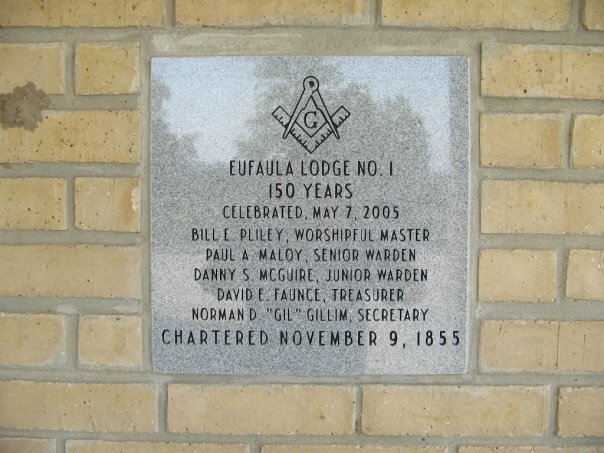 While the town of Doaksville and its lodge is nothing more than a memory, in 1981 the Masons of Eufaula Lodge No. 1 AF&AM broke ground on a new meeting hall. There they remain as a monument to those early Brethren of the Muscogee (Creek) Nation. [i] “Fort Gibson,” Oklahoma Historical Society's Encyclopedia of Oklahoma History and Culture, <http://digital.library.okstate.edu/encyclopedia/entries/F/FO033.html>, Accessed 4 November 2012. [ii] Charles E. Creager, History of Freemasonry in Oklahoma (Muskogee, Oklahoma: Muskogee Print Shop, 1935), 20. 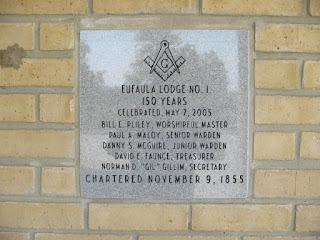 [v] “Eufaula Masonic Lodge: Oldest in Oklahoma,” The Indian Journal, 2 March 1922, p. 3. [vii] Thomas F. Meagher, "Map of the Old Creek Agency: 1851-1876" Oklahoma Historical Society Map Collection (Tulsa, 1938). [viii] Proceedings of the Most Worshipful Grand Lodge AF&AM of the Indian Territory (Caddo: Oklahoma Star, 1875), 24. [ix] Proceedings of the Most Worshipful Grand Lodge F&AM of the State of Arkansas (Little Rock: 1856-1862). [x] Proceedings of the Most Worshipful Grand Lodge F&AM of the State of Arkansas (Little Rock: 1865-1867). [xii] Proceedings of the Most Worshipful Grand Lodge F&AM of the State of Arkansas (Little Rock: 1867). [xiv] “Eufaula Masonic Lodge #1: Sesquicentennial Anniversary,” The Indian Journal, Spring Expo 2005, p. 19. [xv] J. Fred Latham, The Story of Oklahoma Masonry (Guthrie: Grand Lodge of Oklahoma, 1978), 10-11. [xviii] Proceedings of the Most Worshipful Grand Lodge AF&AM of the Indian Territory (Muskogee: Phoenix Steam Printing Company, 1889), 66.